CALGARY -- Canadian Natural Resources Ltd. says its partner in an deep water offshore drilling project in South Africa is reporting a "significant gas condensate" discovery. The Calgary-based company best known for its Alberta oil sands production traded an ownership stake in the offshore exploration block known for its challenging sea conditions to Total S.A. in 2013, in return for the French oil giant taking over as operator and covering initial exploration costs. Kevin McLachlan, Total's senior vice-president of exploration, says in a news release that the discovery is "a new world-class gas and oil play," adding the company and its partners plan to acquire 3D seismic scans this year, followed by up to four more exploration wells. Canadian Natural owns 20 per cent of the joint venture, Total holds 45 per cent, Qatar Petroleum owns 25 per cent and Main Street, a South African consortium, has 10 per cent. 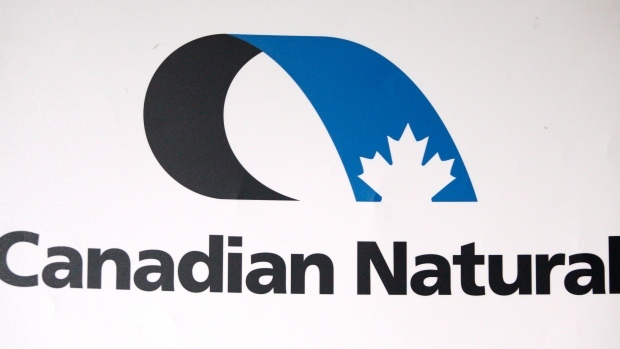 Canadian Natural says its portion of the cost of the exploration well in the Outeniqua Basin, 175 kilometres off the southern coast of South Africa, is covered by its agreements with the other partners. Total drilled a first well into the block in 2014 but had to plug and suspend it due to mechanical issues on the drilling rig. The exploration block covers an area of 19,000 square kilometres, with water depths ranging from 200 to 1,800 metres.